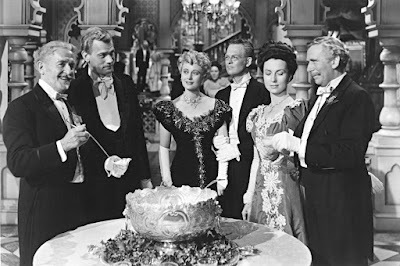 Today, I'm reviewing director Orson Welles drama The Magnificent Ambersons (1942), starring (from left) Richard Bennett; Joseph Cotten; Dolores Costello; Don Dillaway; Agnes Moorehead, and Ray Collins. 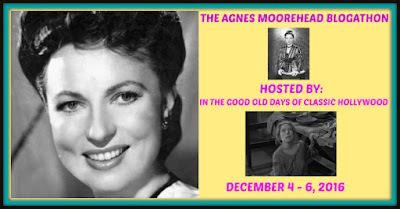 This article is part of The Agnes Moorehead Blogathon hosted by In the Good Old Days of Classic Hollywood. Orson Welles often called Agnes Moorehead "the greatest actress in the world." He gave her the chance to prove it in their second film together, The Magnificent Ambersons (1942), in which she gives a tour-de-force performance as a woman whose anger at being rejected by love ruins the lives of everyone around her. The Magnificent Ambersons follows the fate of the beautiful Isabel Amberson (Dolores Costello) and her beloved son, George (Tim Holt), who live in turn-of-the-century Indianapolis. As a young woman, Isabel was in love with inventor Eugene Morgan (Joseph Cotten), but she eventually rejects him in favor of a more socially acceptable match to the dull Wilbur Minafer (Don Dillaway). After Wilbur unexpectedly dies, Eugene and Isabel reignite their romance despite the glowering disapproval of George and the agitated hysterics of Wilbur's sister, Fanny (Moorehead), who secretly carries a torch for Eugene. The Magnificent Ambersons, which is based on Booth Tarkington's 1918 Pulitzer Prize-winning novel, was part of a long and happy association between Moorehead and Welles. Moorehead first met a young Welles during a chance encounter at the Waldorf Astoria Hotel, and, years later, when Welles was trying to launch his career in New York City, they worked together in radio in The March of Time and The Shadow broadcasts (Moorehead played the masked crime fighter's girl Friday, Margo Lane). Welles quickly spotted Moorehead's exceptional talent, and when he launched his own radio broadcast, The Mercury Theatre on the Air, Moorehead was one of the first actors he hired. She appeared in several memorable broadcasts, including the infamous 1938 War of the Worlds show, and she played a memorably chilling Mrs. Danvers in Mercury's adaptation of Rebecca (you can give it a listen here). Tim Holt and Agnes Moorehead in a publicity still for The Magnificent Ambersons (1942). Moorehead, along with several other Mercury players, followed Welles to Hollywood for Citizen Kane (1941). She has a memorable cameo as a young Charles Foster Kane's repressed mother, but she didn't get a real chance to prove her considerable acting prowess until The Magnificent Ambersons, which was the second Mercury production at RKO Pictures. Welles gave Moorehead the plum role of Aunt Fanny, a middle-aged, unmarried woman, who lashes out in retribution after she sees her only real chance at love slip away. The result is a landmark performance that is one of the great achievements in screen acting. Even though The Magnificent Ambersons is an ensemble piece with several fine performances particularly from Cotten, Costello, and newcomer Anne Baxter, Moorehead is the first among equals. In several scenes, Welles gives her the camera, which was an incredibly brave choice in old Hollywood (pretty much every other director on the planet would have played up Cotten's dashing good looks and cute couple Holt and Baxter at the expense of Moorehead's much more psychologically complex portrayal). However, Moorehead more than justified Welles' faith in her talent with a technically masterful and emotionally charged performance. Moorehead was an excellent mimic, and in The Magnificent Ambersons she raises her voice several octaves and uses jerky body language to convey Fanny's state of nervous agitation that increases to full-blown hysteria once she senses that Eugene is going to propose to Isabel. In the famous boiler room scene (clip above), she gives a performance of such raw intensity that it rivals any of the emotional outbursts from celebrated male actors like James Cagney, Marlon Brando, and James Dean. 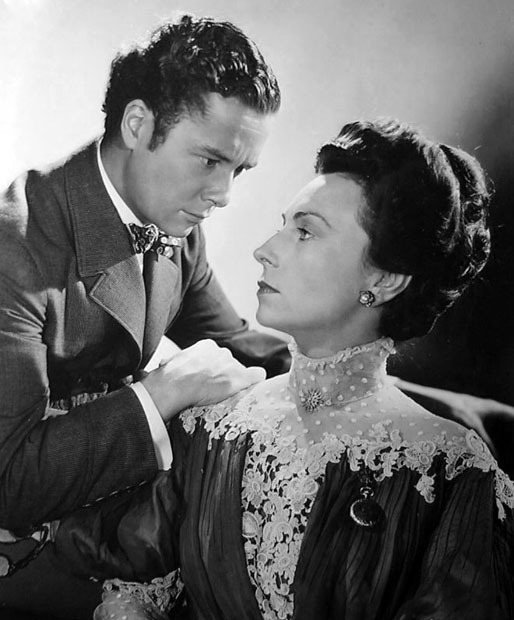 Although The Magnificent Ambersons was a notoriously fraught production, Moorehead's performance received a great deal of critical acclaim and she received her first ever Academy Award nomination for best supporting actress (Moorehead lost to Teresa Wright in Mrs. Miniver). The film launched her on a successful career as a much-sought after character actress and one of TV's biggest stars thanks to her memorable performance as Endora on the sixties TV series, Bewitched. 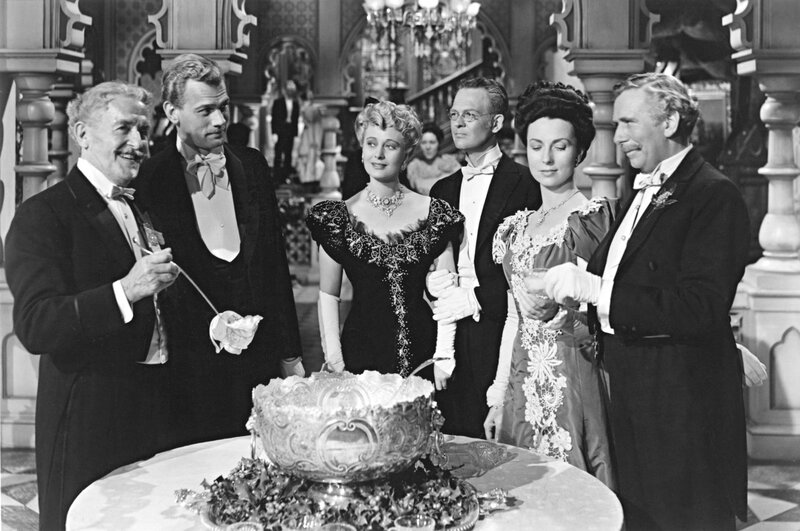 The Magnificent Ambersons is available on DVD and video on demand. Great review! Agnes is already wonderful in the cut version, and I read that she's even better in the uncut copy! If only the original film could appear in some dusty attic!